See how well our clients can do if they follow our training advice. 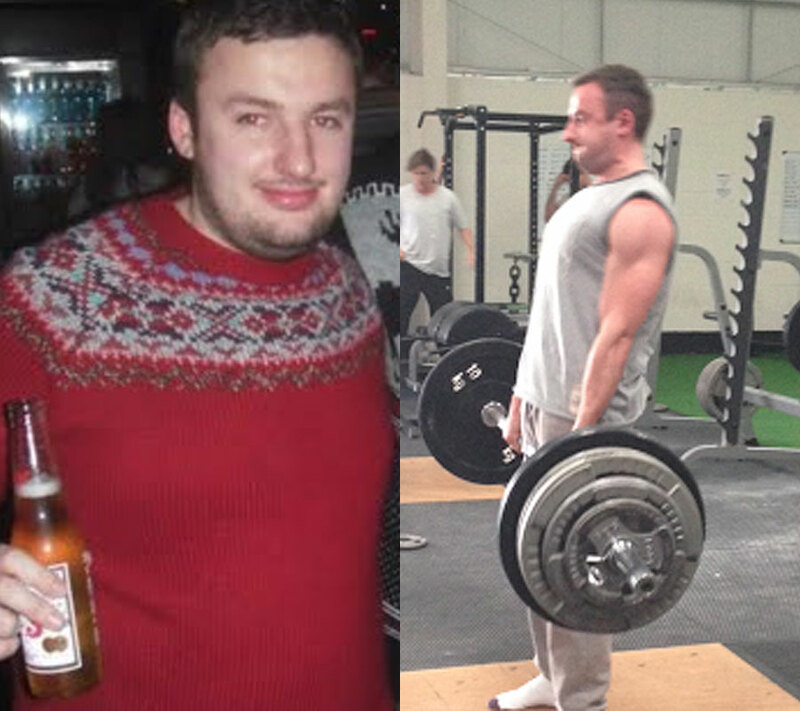 John started his fitness journey by himself around 1 year before getting in touch. He started doing boot camp with us in November 2012 and continued with us doing various things from Kettle bells to “Strip & Rip”. The first time we took John’s body fat he was 16.2% but we got him to 9.2% before his holidays. He lifts at least 5 times per week, hits strength and conditioning regularly and he is dedicated to his nutrition. He is a fine example of consistency paying off and is looking awesome for it. “For years I had been a member of various commercial gyms without ever seeing any real improvements. I always found that the guidance given in these gyms was very limited, with both exercise and nutrition. I would quickly lose interest if I didn’t see the results quickly and as a result my weight and fitness had always fluctuated. Last year I started to go to Ross’s classes, mainly bootcamps, kettlebells and kick boxing. I also joined the 6 week ‘strip and rip’ course, and I quickly started to see improvements, even getting my body fat % down to single figures for the first time in my life in time for my holiday last year! Since the gym opened in February I feel like I’ve got stronger and stronger. Ross is very knowledgable and helpful and since becoming a member of the gym I feel like I’ve learned so much about exercise and nutrition in particular. I believe I have improved more in the past 6 months at Ross Thompson fitness than I have in the past 10 years training at other, overcrowded, commercial gyms. Ross and Tom are always on hand to offer advice, and are quick to tell you if there are any small improvements you can make I your technique. I’ve found that even small changes to lifting techniques can make a big difference and as a result I am now stronger than ever, and also feel leaner than ever. I’ve never been happier with my physique and this has all happened since training with RT fitness. THESE RESULTS ARE NOT TYPICAL, THEY ARE THE RESULTS OF PEOPLE WILLING TO WORK HARD TO ACHIEVE THEIR GOALS. THEY ARE NEITHER AVERAGE NOR TYPICAL AS THE GENERAL AVERAGE AND TYPICAL PERSON WILL NOT ALWAYS DO WHAT IS NECESSARY TO CHANGE THEIR LIVES AND GET THE RESULTS THEY TRULY DESIRE. WE WILL DO OUR VERY BEST TO LEAD YOU IN THE RIGHT DIRECTION AS WE HAVE DONE WITH THOSE WHO HAVE PROVIDED THE FOLLOWING TESTIMONIALS.